BTG's board hosts a hearty lunch with thanks for the Chautauqua Landscape and Garden, Woods and Grounds Crews, nature presenters, 'perennial speakers', The Chautauquan Daily reporter, and other Institution friends of BTG in recognition and appreciation of their services provided through the season and in support of our mission. Melinda, a BTG life member from California in the off season and from Magnolia in the summertime, is a well trained flower arranger, gardener and a new winery owner in CA. Melinda lectures on many gardening topics and is a well published writer on gardening in the trade magazines. 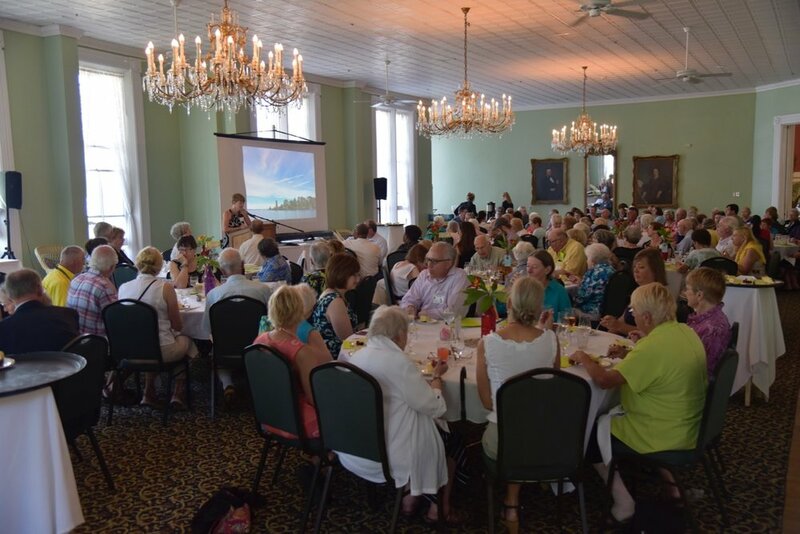 The first Chautauqua House Tour was sponsored by the Chautauqua Bird, Tree and Garden Club in 1954 to raise funds for its many gardens and educational programs. BTG has continued to sponsor this popular self-guided walking tour on an every other year basis with next year’s event marking our 32nd. tour. The July 12, 2016 tour will include some of the historic old cottages, but also many new or newly renovated homes on the north end, including the President's Cottage. 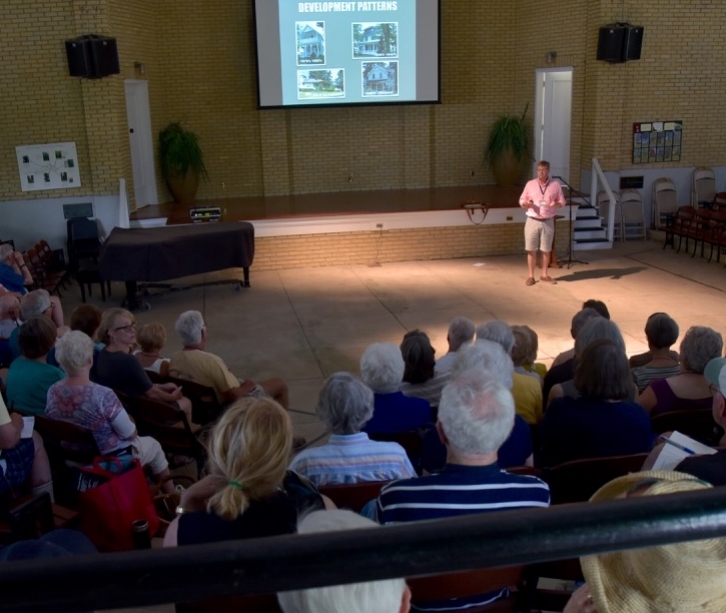 This lecture will explore the unique development of Chautauqua’s architecture as it relates to the summer tour. There will be a focus on the styles of the homes that will be toured and the unique changes in the development pattern from original cottages, to post WW II suburban style homes, to the recent return to the original cottage type of development. Learn what changes in society and inventions fueled these changes in the development patterns. Bob Jeffrey holds a Bachelor of Environmental Design from Miami Univ. and a Masters in Architecture Specializing in Historic Preservation from Kent State. Bob is the president of two businesses, Maviro Corp. and Town Improvement Assn. Inc. which specialize in the renovation and adaptive reuse of historic buildings. He currently servers or recently has served on St. Petersburg Community Preservation Board, President and board member of the Historic Kenwood Neighborhood Assn., board member of the Grand Central Distric Assn., co-chair of the Central Avenue Council, representative, CPOA, chair of the Architectural Review Board, and Trustee of Chautauqua Institution. He has been honored with a number of awards including Preservationist of the Year 2002 and 2013 by St. Petersburg Preservation and the Award of Excellence in 2008 by the Tampa Bay American Institute of Architects. BTG's Arboretum has undergone extensive renovation over the past 3 years. Join us as the Rev. Maureen Rovegno leads a service re-dedicating this historic nature grove similar to the original ceremony 100 years ago! The Arboretum will be featured in the July 12 BTG House and Garden Tour. Join "BTG Perennial' author Marta McDowell presenting her newest book “A Wilder Garden: The Natural World of Laura Ingalls Wilder”. Marta will share lessons of the world of Laura Ingalls Wilder, author of the Little House on the Prairie books. Discover the world of prairie, forest, farm, garden, and natural history of this beloved American children’s author. Marta McDowell teaches landscape history and horticulture at the New York Botanical Garden where she has been twice awarded "Instructor of the Year." She consults for private clients and public gardens. Her garden writing has appeared in popular publications such as Woman’s Day, Country Gardening and The New York Times. Her first book Emily Dickenson’s Garden came out in 2005. Marta won a 2014 Gold Award from the Garden Writers Association for her book Beatrix Potter’s Gardening Life. Her 2015 book on the history of American gardening as seen through the White House grounds is called All the Presidents’ Gardens, which was on the New York Times bestsellers list. 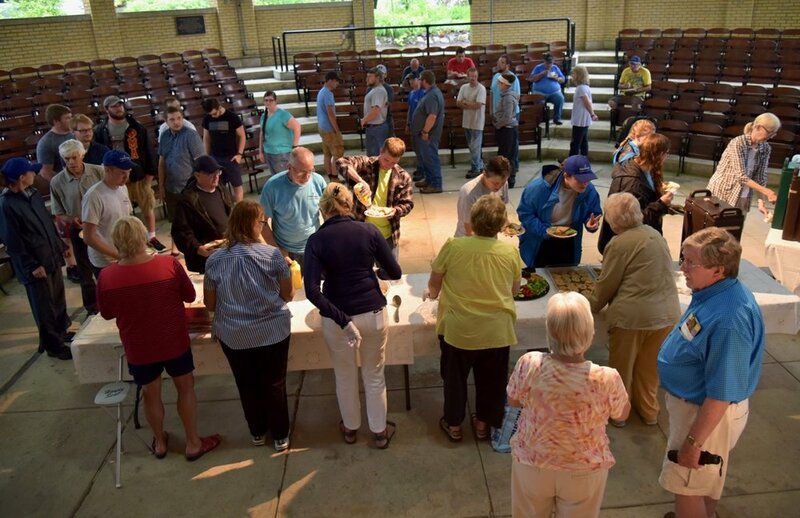 Take a seat at the picnic tables and join in on this 'all age' participative event. After a brief introduction about Purple Martins, the group observes Jack's maintenance, tracking and care of the purple Martin houses and inhabitants. The house is lowered, a nest is seen by all, and a nest change usually done - lean in! Photos welcome. Learn about these birds migration, habitat, life cycle and predators. Questions are answered until 5 PM. The Purple Martins begin their migration mid-season back to Brazil so make sure to get to the talk early - and often! These amazing birds grow before your very eyes - and yes, birds can be touched! Jack learned about plants and birds as a teenager from Jamestown Audubon specialists Gib Burgeson and Bob Sundell and that set him on his path to earning a BS in Forest Management at Syracuse. He was employed by the US Department of the Interior for 13 years working in parks with diverse a landscape from Yellowstone, Grand Teton to Cuyahoga Ohio. A nationally known expert on Purple Martins, he attends to dozens of houses on the Institution grounds and throughout Chautauqua County, carefully charting out their records per house. Jack's knowledge of his subject matter and friendly manner make him an ideal speaker/guide for all ages. Join in on a Nature Walk at 9:15 Friday mornings starting at Smith Wilkes Hall and then meet up again lakeside between the Bell Tower and Sports Club at the Purple Martin houses at 4pm. 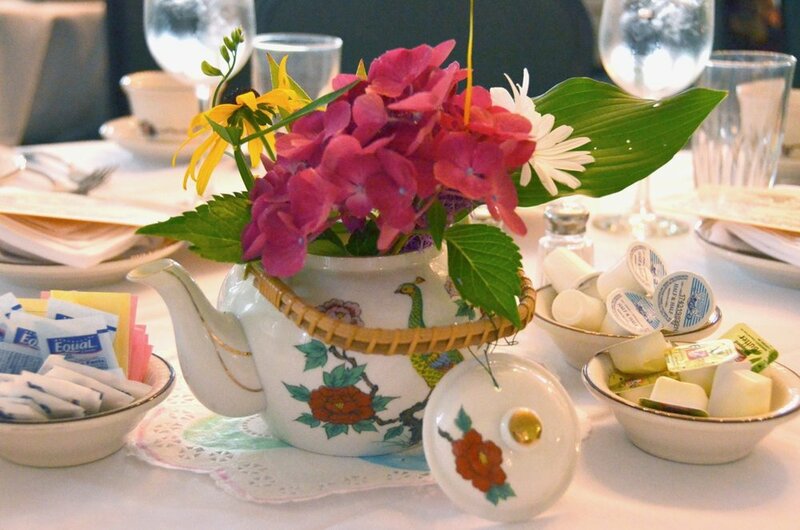 Melinda’s lecture and demonstration will include four floral designs using materials easily found on the grounds, in your gardens, and at local vegetable stands. The elements and principles of design will be used to enhance understanding and practical application for your designs. The designs wil be simple to master and fun to have on your porch or dining table. Linda has a creative yet classic flair for design - and a sense of humor to match. 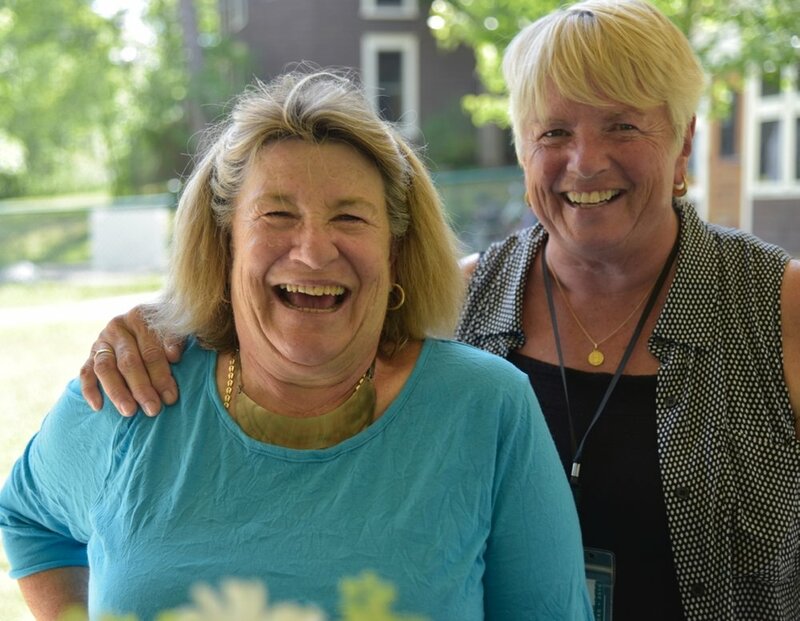 Melinda Wolcott has spent her summers on Lake Chautauqua her entire life. As a National Garden Club Inc. Flower Show Judge, she is an award winning floral designer and instructor of Floral Design. Having lived in England, Italy, and Singapore, she brings her experiences from living abroad into her designs. She also owns a winery in California. Lucky Lucky Day! Every 2 years BTG serves up the infamous 'Mushroom Sandwiches'. This delicacy / 'secret recipe' is a cult classic. Come to Smith Wilkes Hall at 11:30am - sell out. A complete lunch is $10 including a drink, chips, fruit and dessert. Musical entertainment is provided by the Dixie Lakesiders and there's plenty of room to dance! If you've never had a mushroom sandwich - please don't miss out. If you've been waiting for their return for the past 2 years, come early before they're sold out! Join BTG's experiential learning event. Travel thru stations, learning about every stage of the monarch life cycle. Observe and explore egg laying, larve, chrysalis, to the Monarch's full glory. Join BTG guest lecturer Lori Stralow Harris at Lincoln Park with a hands-on, interactive series of live species. 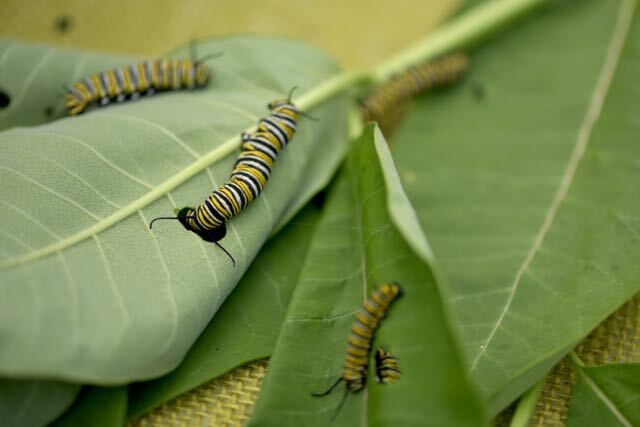 Docents will facilitate observation, provide commentary, help participants to measure each monarch caterpillar instar, investigate their mouthparts and bite patterns, observe chrysalides, and hand-feed adult butterflies. Engage in this unique exciting guided discovery. 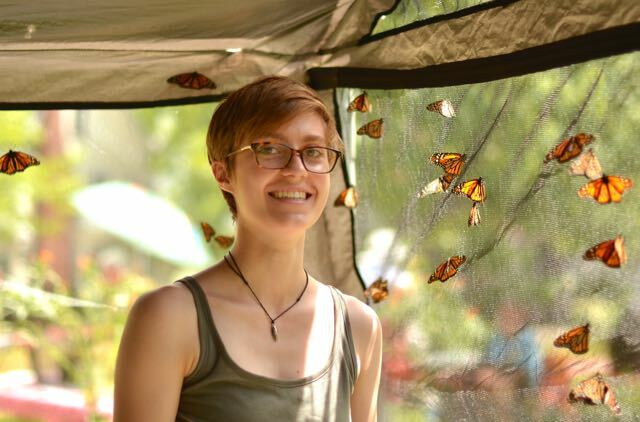 The event culminates when you enter a 20'x10' tent of monarchs. They'll land on you if you wish and can be fed by hand. Plenty of chance for Q and A all along the way. Pick up a magnifying glass and Be Amazed! 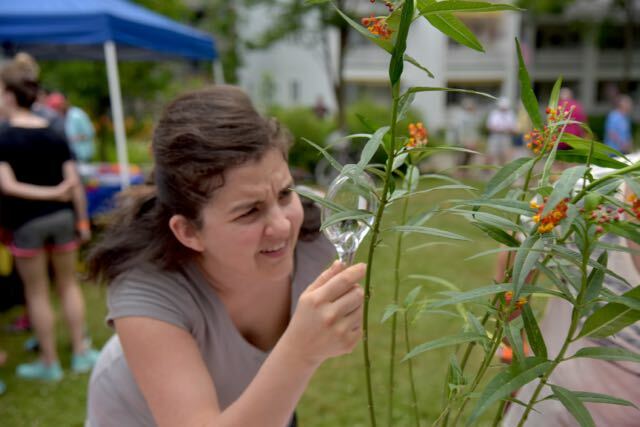 The BTG is Returning to it’s Roots with their Native Plant Sale 1:30pm-4:30pm. We have the right plant for you whether you are working on your home garden or woodland. On offer are varieties of native plants and shrubs for shade or sun gardens. We know that beauty alone is no longer enough. Native plants play an important role in our ecosystem. You will not only create beautiful gardens but also conserve resources. In a small but significant way these amazing perennial native plants will help keep our environment friendly, safe and welcoming for generations to come via sustainable growing practices. 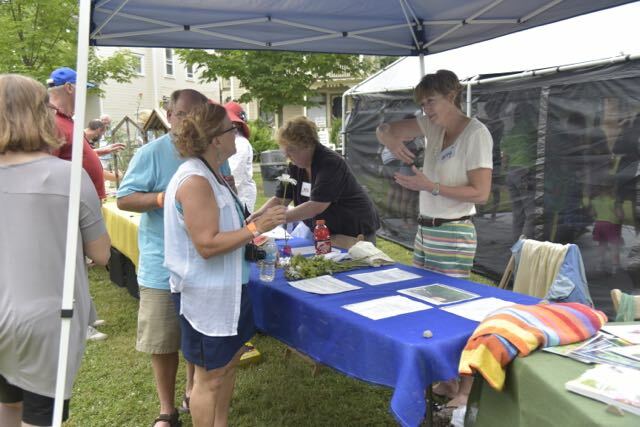 Experienced master gardeners are at hand and ready to answer your questions. The BTG puts down it’s Roots with their Native Plant Sale 11:30am - 7:30pm. In the early 1990s, an old cornfield was restored to its historic wetland status, with large and small ponds excavated and diked, and native vegetation returned. Once the habitat was established, Dennis McNair, emeritus biology professor at University of Pittsburgh, began monitoring the birds, plants and insects as they returned. He gave special attention to the establishment of odonate (dragonfly and damselfly) species. The effort verifies "if you build it, they will come." Join the Bird, Tree & Garden Club for a special celebration of the Ryan Kiblin Memorial Stormwater Park Thursday, June 30 at 4 p.m. across from Lenna Hall. The BTG and other generous Chautauquans established an endowment for the park’s future care and maintenance in honor of the life and work of Chautauqua’s late Supervisor of Gardens and Landscapes, Ryan Kiblin. Community members are invited to celebrate with Kiblin’s friends and family at a brief program with light refreshments.